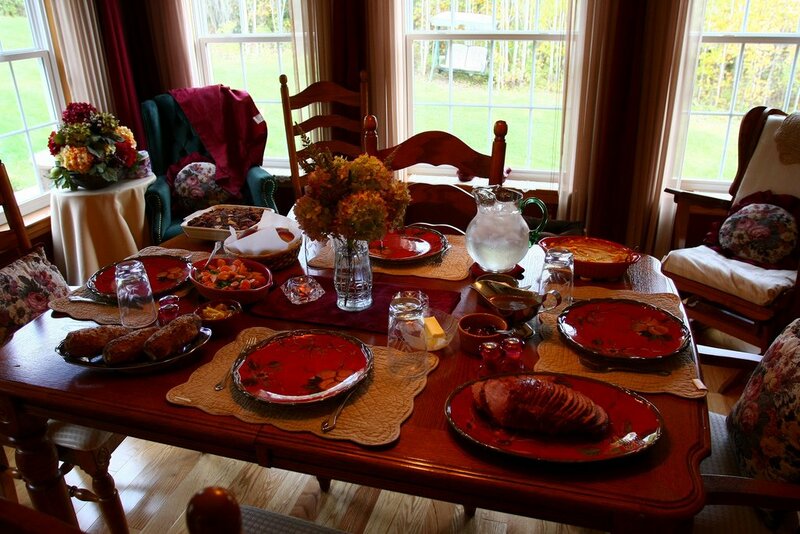 Italy's history dates back to Greek and Roman empires and its cuisine has been perfected over ages. Pizza and Pasta originated in Italy and are famous the world over. 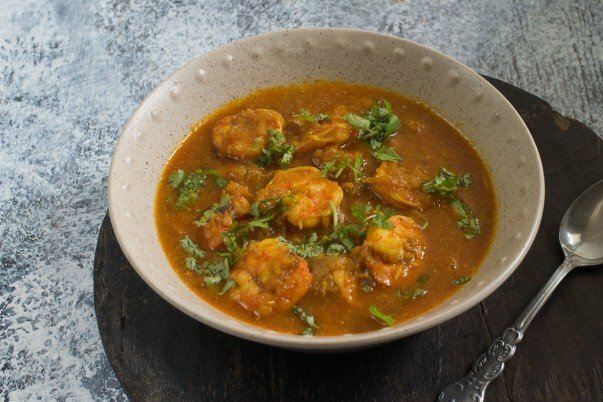 The Italian chef's use minimal ingredients but create a unique and ever lasting taste in their recipes. Risotto is another Italian dish prepared with rice, it is generally made with short grain rice varieties such as Arborio and Carnaroli. 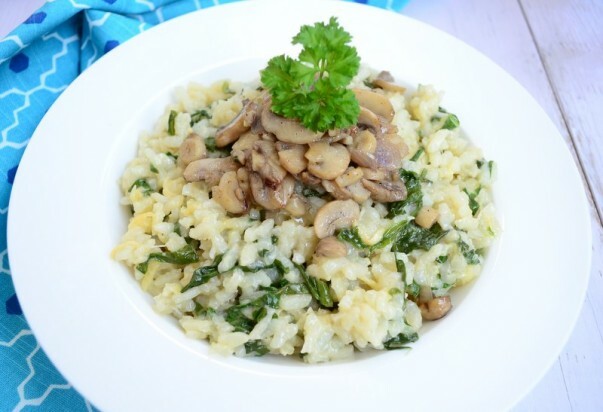 Risotto can be cooked with vegetables or meat as per individual preferences. 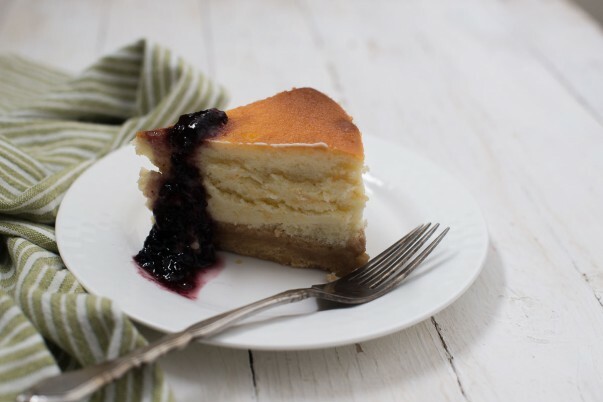 Depending on the ingredients, it can be paired with a red or white wine. 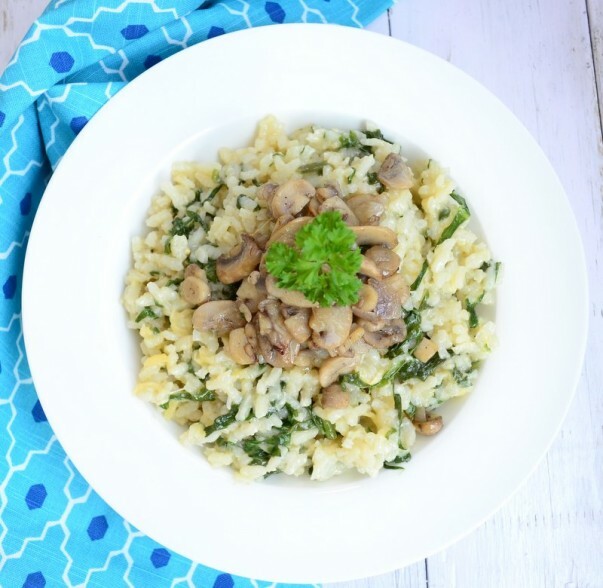 For this recipe I used Arborio rice (the name comes from a town called Arborio in north of Italy) to make Italian Spinach & Mushroom Risotto. I used mushrooms cooked separately as one of the major ingredient along with chopped leaves of spinach. I also added some white wine in the course to give it a nice tangy taste. 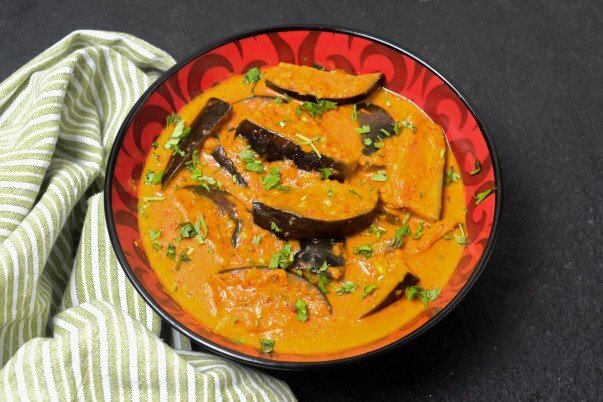 The olive oil is used in the preparation so overall it is a healthy dish to cook. 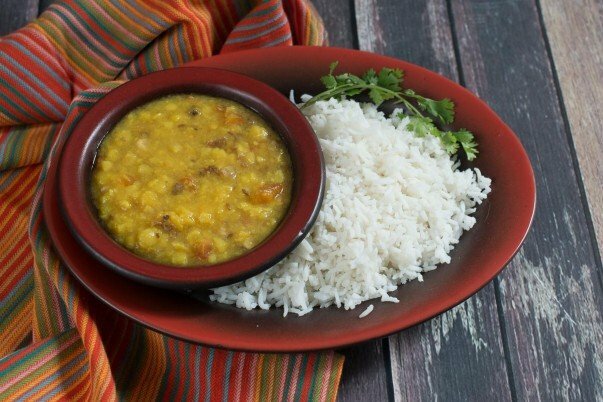 Rice is cooked in chicken stock with onions and comes out stickier and thicker, it is then mixed with spinach leaves and topped with the cooked mushroom. To spruce it up, I added some shredded Gouda cheese (a Dutch variety) and parsley leaves. 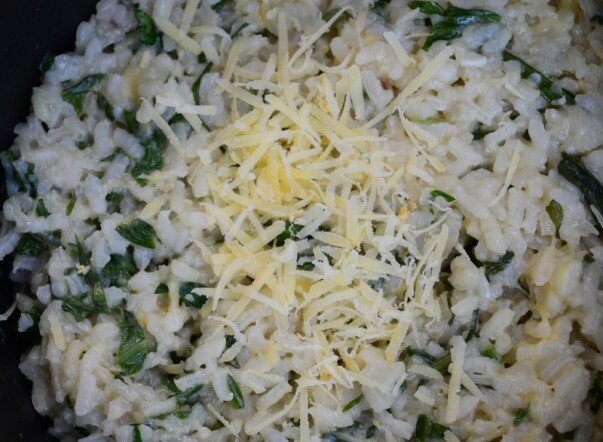 The risotto is served on its own or paired with wine, the rice is pretty filling and forms a full meal. It's best to serve it hot and fresh, just off the stove for best results. Let's look at the Italian Spinach & Mushroom Risotto Recipe to make this delicious dish. Heat 1 tbsp olive oil in a pan. Add half of the garlic and fry till golden brown. Add 1/4 cup onion and cook for a minute. Add mushroom, salt, and 1/4 tsp black pepper powder. Cook on high heat for 5-6 minutes, till slightly browned. Add the remaining olive oil in a pan. Add the remaining garlic and fry till golden brown. Add the remaining onion and cook for 2-3 minutes. Add the Arborio rice and mix well to coat the rice in oil. Add white wine and cook till it is absorbed by the rice. Add a ladle full of chicken stock in the pan and cook till all of it is absorbed by the rice. Keep adding the stock, ladle by ladle, till it is absorbed by the rice. Check if the rice is done and if not, add little water and cook till done. Add the shredded Gouda cheese and chopped spinach and mix well. Transfer the risotto in the serving bowl. Top with the cooked mushrooms. Hey Sharmeen. Thnx for liking the recipe. 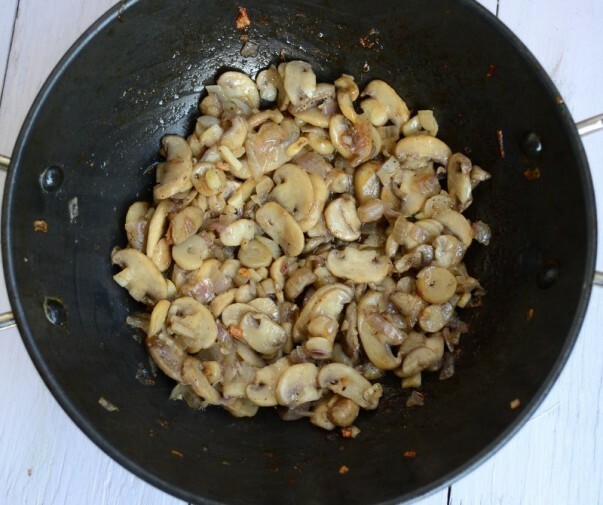 I have used the regular button mushrooms for this recipe. If Arborio rice is not available, you can use any other short grain rice. 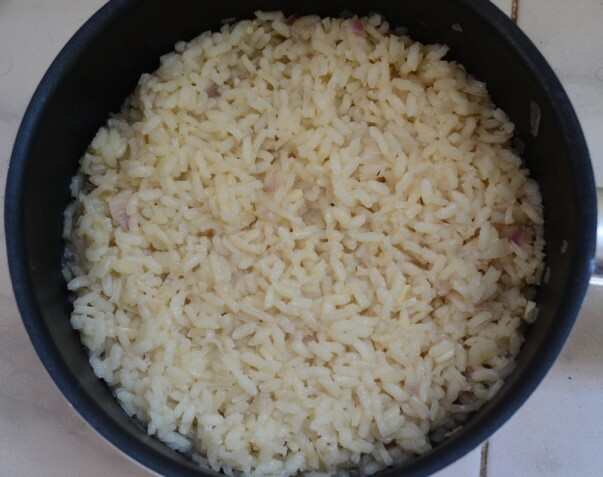 Although Arborio rice gives it a very typical flavor. Hi, Do we have to blanch the spinach or to add the raw one in rice ? Please reply? Yes Onaiza, We can use tinned Mushrooms in this recipe.